Adidas Originals present the latest release in the NMD range. Dubbed the City Sock, the NMD_CS1 is a mid-top version of the NMD. For this version they have again utilised Primeknit technology but this time they’ve done away with the laces. 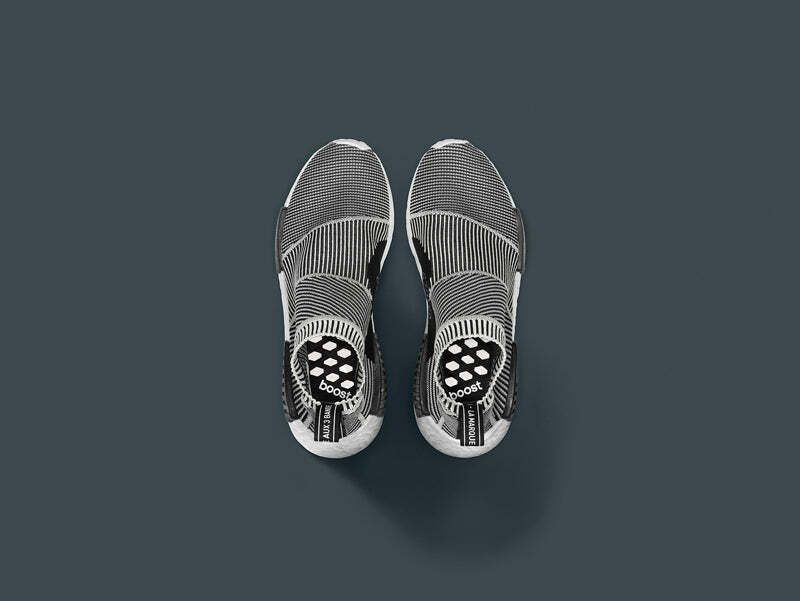 Inspired in equal parts by contemporary functional designs and high-fashion sensibilities, and uses a sock-fit prime knit textile upper atop a full-length boost midsole with referential EVA inserts. A bold variation on the NMD philosophy that elevates the shoe’s stylistic elements through uncompromised technical drive.